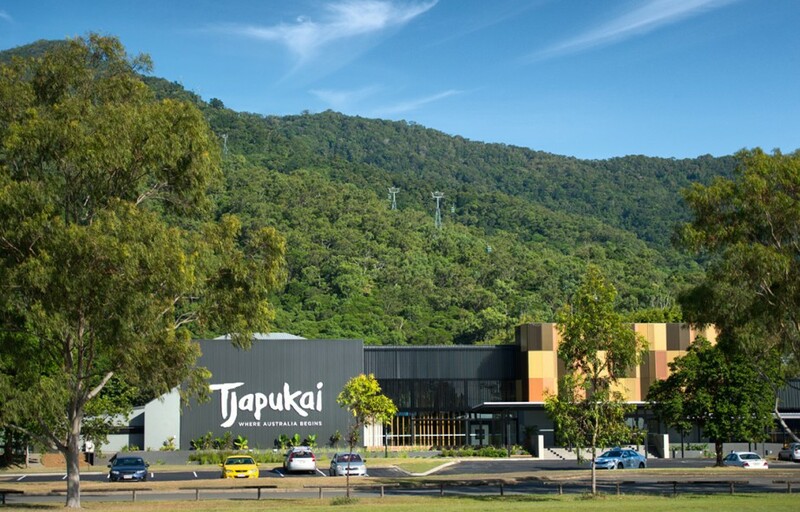 Travel Guide - Discover where Australia begins at Tjapukai. Explore the rich history of the world’s oldest living culture, dating back over 40,000 years. Whether you visit the park by day or night, you’ll enjoy a unique cultural experience with performance, dance, food and arts. By day, the park is filled with interactive experiences to give you an authentic insight into the Aboriginal and Torres Strait Islander culture. Learn the art of throwing a returning boomerang, and how a didgeridoo is played. Sample some traditional bush foods, and get an insight into the ancient medicinal value of native plants. And to make your trip extra memorable, you can also create your own souvenirs. The Tjapukai artists will guide you through the intricate art of weaving, creating natural rainforest style jewellery and painting your own returning boomerang in traditional Aboriginal style. By night, you can journey into the dreamtime for an unforgettable evening of delicious food and world-class entertainment. 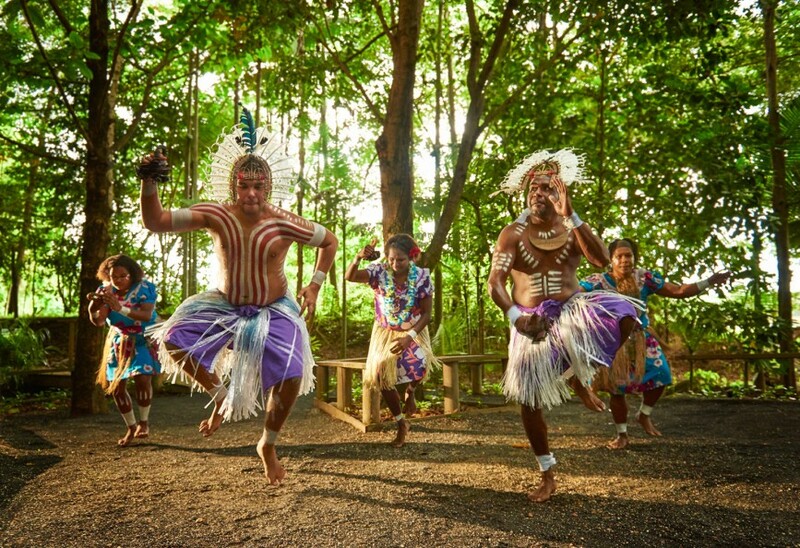 Take part in a welcome ceremony and share in the celebration of authentic music, chanting and dance, as the world famous Tjapukai performers take to the rainforest stage. 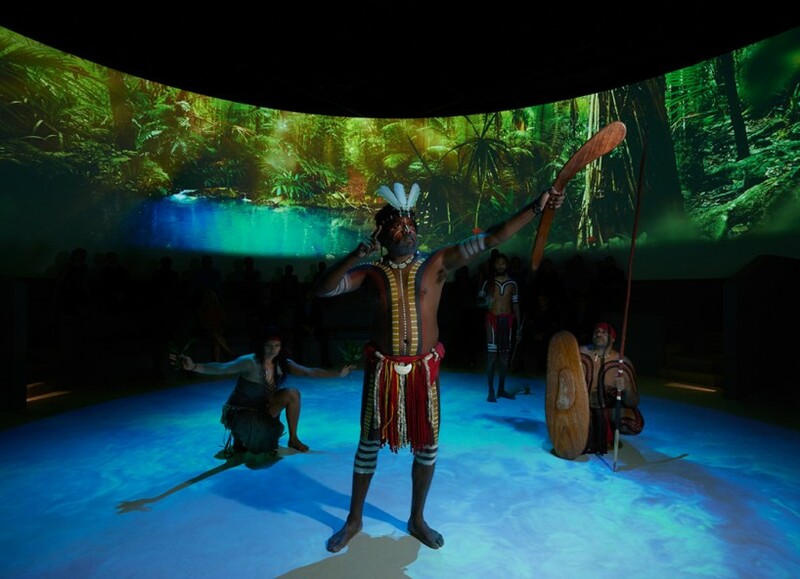 Be immersed in the spectacle of a corroboree depicting the thrill of the hunt and the ancient totems of the rainforest people. 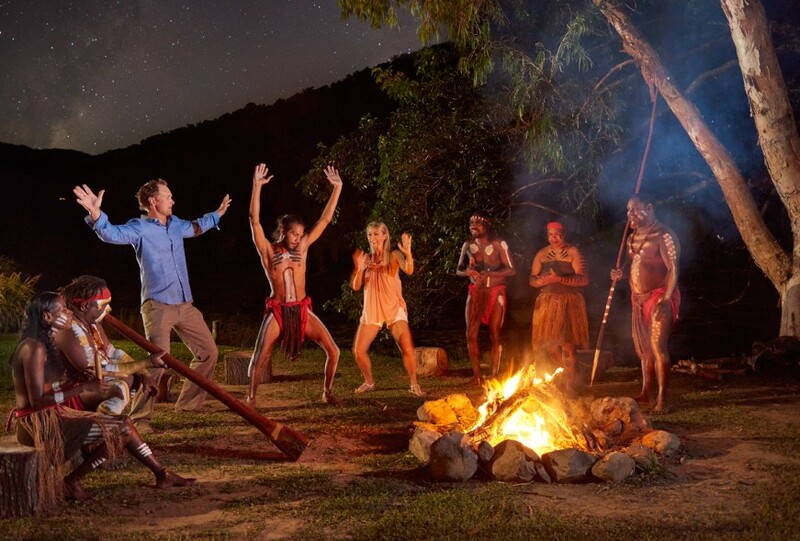 Join a traditional firemaking ceremony with a spectacular fireball then dine on the culinary delights of Tropical North Queensland with a delicious hot and cold buffet including seafood. The night culminates with an intimate chat with the performers by the fire and the chance to take photos. 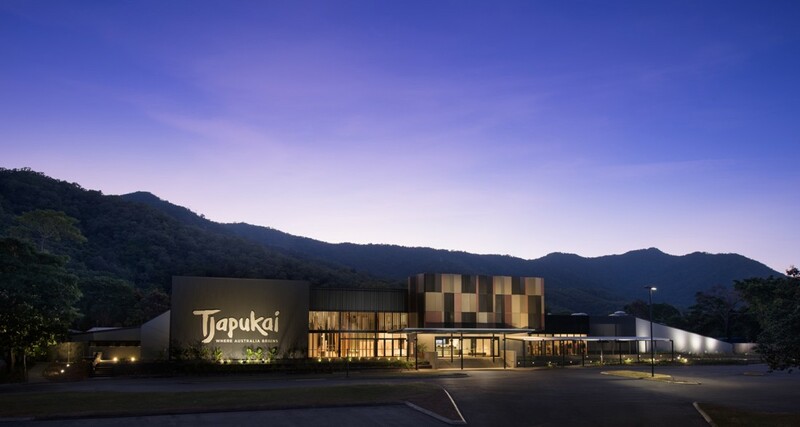 Tjapukai is all-weather, wheelchair and pram friendly, offering unique experiences in one location. 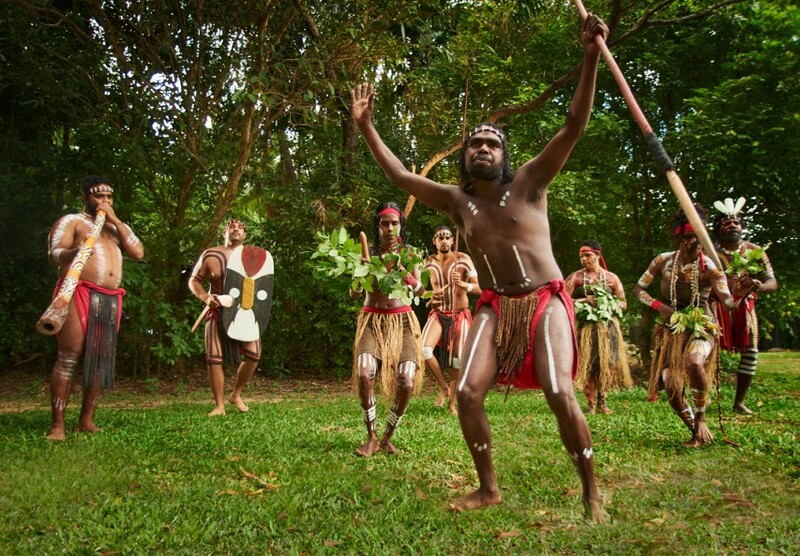 However you choose to enjoy it, a visit to Tjapukai is the perfect way to gain a deeper understanding of Australia’s diverse Aboriginal and Torres Strait Islander heritage.